It’s true. A carbohydrate-rich diet can inflate appetite and girth whilst low-carb diets do promote short-term weight loss, but are accompanied by some severe dangers. So what should you do? The truth is, you can have your carbs and eat them too—you just have to know how to choose them. Carbohydrates are the body’s ideal fuel for most functions. They supply the body with the energy needed for the muscles, brain and central nervous system. In fact, the human brain depends exclusively on carbohydrates for its energy. Carbohydrates are found in fruits, vegetables, beans, dairy products, foods made from grain products, and sweeteners such as sugar, honey, and corn syrup. During digestion, all carbohydrates are broken down into glucose before they can enter the bloodstream which is where insulin helps the glucose enter the body’s cells. Some glucose is stored as glycogen in the liver and muscles for future use, like fueling a workout. If there is extra glucose, the body will store it as fat. The body converts digestible (non-fiber) carbohydrates into glucose, which our cells use as fuel. Simply carbohydrates break down quickly into glucose while complex carbohydrates break down slowly and enter the bloodstream more gradually. 1.Simple carbohydrates are composed of 1 or 2 sugar units that are broken down and digested quickly. Recent research has shown that certain simple carbohydrate foods can cause extreme surges in blood sugar levels, which also increases insulin release. This can elevate appetite and the risk of excess fat storage. 2.Complex carbohydrates (also referred to as starch) are made up of many sugar units and are found in both natural (brown rice) and refined (white bread) form. They are structurally more complex and take longer to be broken down and digested. Complex carbohydrate foods have been shown to enter the blood stream gradually and trigger only a moderate rise in insulin levels, which stabilizes appetite and results in fewer carbohydrates that are stored as fat. Unrefined or ‘whole grain’ carbohydrates found in products like brown rice, whole wheat pasta and bran cereals are digested slowly. 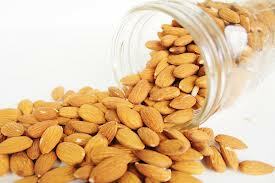 They contain vitamins, minerals and fiber which promote health. Fiber and nutrient-rich vegetables, fruits and beans which are carbohydrates also have many important functions for the body and are important for good health. 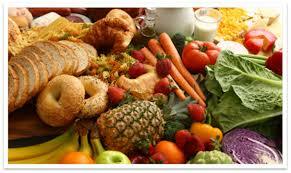 3.Indigestible carbohydrates are also called fiber. The body is unable to breakdown fiber into small enough units for absorption. It is therefore not an energy source for the body but does promote health in many other ways. Simple carbs, complex carbs, and fiber are found in many foods. Some provide important nutrients that promote health while others simply provide calories that promote girth. Sugar, syrup, candy, honey, jams, jelly, and soft drinks contain simple carbohydrates and little if any nutrients. Fruitscontain primarily simple carbohydrate but also valuable vitamins, minerals, fiber, and water. Vegetablescontain varying amounts of simple and complex carbohydrates, vitamins, minerals, fiber, and water. Legumessuch as beans, peas, lentils and soybeans contain complex carbohydrates, fiber, vitamins, minerals, and protein. Milk productscontain simple carbohydrates along with protein, calcium and other nutrients. Grain productscontain complex carbohydrates, fiber, vitamins, minerals, and protein. The amounts vary depending on the type of grain used and the amount of processing. Selecting whole grain options whenever possible is recommended. Following an extremely low-carbohydrate diet for an extended period is disastrous, dangerous, and above all—boring! Carbohydrates are NOT the enemy. Including the appropriate amounts and types of carbohydrate-rich foods in your diet is essential for long-term health and weight loss/maintenance. With no glucose available for energy, the body starts using protein from food for energy. Therefore this protein is no longer available for more important functions, such as making new cells, tissues, enzymes, hormones, and antibodies and the regulation of fluid balance. When carbohydrates are lacking, the body cannot burn fat in the correct way. Normally carbs combine with fat fragments to be used as energy. When carbs are not available, there is an incomplete breakdown of fat that produces a by-product called ketones. These ketones accumulate in the blood and in the urine causing ketosis. Ketosis does cause a decrease in appetite because it’s one of the body’s protection mechanisms. It’s an advantage to someone in a famine (which the body thinks it’s experiencing) to lack an appetite because the search for food would be a waste of time and additional energy. Due to the lack of energy and the accumulation of ketones, low-carb diets are often accompanied by nausea, headaches, dizziness, fatigue, bad breath, and dehydration. Because of dehydration and a lack of fiber, constipation can result. Exercise and fitness performance is reduced on a low-carb diet. 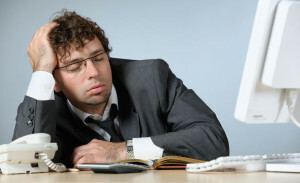 Do not be surprised if your energy level is so low that you cannot make it through your normal workout routine. The risk of many cancers increases when fruits, vegetables, whole grain products, and beans are eliminated from the diet. Protein foods are also high in purines, which are broken down into uric acid. Elevated levels of uric acid in the blood may lead to needle-like uric acid crystals in joints, causing gout. Kidney stones are more likely to form on high protein, ketosis-producing diets. Over time, high protein diets can cause a loss of calcium and lead to osteoporosis. The risk of heart disease is greatly increased on a low-carb diet that is high in protein, cholesterol, fat, and saturated fat. A temporary reduction in cholesterol levels may be experienced, but this is common with any weight loss. How do you include carbohydrates in you diet in a safe, effective, and controlled way? Sugar, honey, syrup, jam, jelly. That’s it! A simple, effective carbohydrate-controlling plan that, when combined with your regular exercise, allows you to reap the countless benefits of complex carbohydrates and fiber while enhancing your health and maintaining a healthy weight. The long term result will be a healthy you! I am still amazed at the number of people I speak to who spend hours at their desks at home or at work without getting up or moving at all. Did you realise bad posture alone can give your brain up to 30% less blood and oxygen, which in turn greatly affects your energy and concentration.? Along with good posture, the most effective way to fight energy lulls is with doses of good stretching and good breathing. You should aim for a minimum of two minutes of stretching for every hour you spend at your computer or desk. Obviously not all work environments are conducive to you standing up and doing star jump so below I have listed some different ideas for rejuvenating your mind and body at work or at home. Each will only take a few minutes, but will make a big difference to how you feel. Hop in the lift and go down 3 floors and then walk back up the stairs. Massage your head and shoulders. Find trigger points of tension in the shoulders and base of the skull. Hold pressure for 6-10 seconds. Don’t forget your face and jaw. Star Jumps for 30 seconds. Simple, quick and wakes you up. Squeeze a stress ball. Relieves stress while strengthening forearms and wrists for typing. Try word puzzles. Keep a jigsaw puzzle in your office. Switch hands with whatever you’re doing, to balance the load on muscles. Try to stand up and move or stretch whenever you are talking on the phone. Forget the boardroom. Try to hold walking meetings. Hand-deliver mail, memos and faxes within the building. 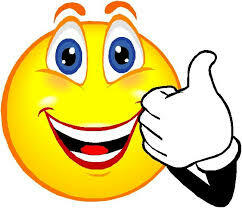 Chat face-to-face instead of by e-mail or phone. Use a bathroom on the other side of the building or another floor. Even if you just stand up and stretch , try to make it a goal to get up and move every hour from now on. Are Your Workouts Delivering Results? Too often when I am talking to people about their training routines, I hear the same old thing: Tuesday: Go to the gym, run on the treadmill for 30 minutes do some weights then go home. Thursday: Go to the gym, run on the treadmill for 30 minutes do some weights then go home. Saturday: Go to the gym… well, you get the point. Hitting a rut in your workout routine is a common pitfall especially at this time of the year, that can halt your fitness momentum and even tempt you to stop exercising. Figuring out if you’ve hit the wall is simple. Ask yourself two questions. “Am I not seeing the same results as when I started my workout routine? Am I losing my motivation to go to the gym?” If ‘Yes’ is the answer to either question, it’s time to shock your body with a new or different routine. As the saying goes, “variety is the spice of life” and workouts are no exception. Drastic changes are not necessary; in fact they’re discouraged. We’re talking about small changes that confuse your body a bit and return it to “fat-burning” and “muscle-building” mode. When your routine remains utterly monotonous, your body thinks it’s in maintenance mode, making body shape change hard to obtain. That’s why an element of shock is needed. These may not seem drastic enough to produce noticeable results, but your body responds to even the slightest bit of change if it’s used to the same routine, day after day. If you feel sore or achy the next day, consider it a sign that your body is responding positively. Remember, every once in a while, the body needs a little shock. Answers called out ranged from 500g to 750g. The lecturer replied, “The absolute weight doesn’t matter. If I hold it for an hour, I’ll have an ache in my arm. increasingly heavy, we won’t be able to carry on. holding it again. When we’re refreshed, we can carry on with the burden. So, before you return home tonight, put the burden of work down. Don’t carry it home. You can pick it up tomorrow. Whatever burdens you’re carrying now, let them down for a moment if you can. I believe the first step to “putting the glass down” is to start “draining the swamp.” What’s step one? Yes, you guessed it, the old reliable “Brain Dump.” Write everything you are currently doing down on a piece of paper, and work out what might currently be causing you stress and then try to eliminate it from your life if only for short periods. 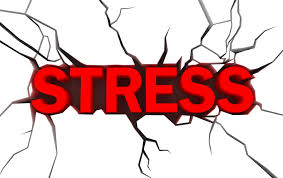 If you just do this one thing you will be a giant step closer to getting control of your stress and your life. Do you feel tired, exhausted and sleepy a lot of the time? If yes, ask yourself this question: Do you feel energised after your meals? Or do you feel bloated, fatigued, and groggy? It’s the same reason why so many people suffer from digestion and elimination problems. And the exact same reason why you’re having trouble sleeping… experience sudden headaches, out of nowhere… feel sudden pains in your back, suffer skin problems, like acne and carry extra weight. And if you’re feeling depressed or irritable… have trouble concentrating… or suffer from frequent mood changes… then you need to know that all these problems come from the exact same root cause. Yet… doctors, medical companies and the rest of the “healthcare” community refuse to talk about it. What is the one root cause of all these seemingly unrelated health problems? It’s all the toxins your body absorbs. They’re everywhere. They’re in almost all the meat and commercially grown foods you feed you and your children… all the packaged and processed food products you buy… and the cleaning and cosmetic products you use, ironically enough, to keep your family clean and protected from disease. You can’t escape them. These toxins are even in the air you breathe. And the water you drink. And the rain that falls on your skin. Those chemicals are everywhere. And every second, of every day, these toxins are seeping into your body — through your skin and via your digestive system — and causing terrible damage. You need to detoxify your body, and get rid of all these toxins. But be careful, because most detox programs actually damage your health — in the long term. Flush Away All The Toxins That Have BeenPolluting Your Body For Years — And Stop Them Coming Back Again With A Vengeance! The only way to completely protect your body from these toxins and heal yourself, is to use a food-based cleansing program. One that gives your body all the vital nutrients it needs with delicious foods that allow you to function properly, and at your best… you can live your life with practically limitless energy and gusto. If you don’t clear your body of all the toxins and chemicals that have been piling up, then the problem is only going to get worse. You’ll continue gaining fat, and putting on more and more weight. And here’s why. Your body needs to store these dangerous excess toxins somewhere; otherwise, they can lead to serious damage in your blood vessels and vital organs. But since it can’t flush them out of your body completely… all these dangerous chemicals end up being stored in your fat cells, which act as storage lockers. That’s why, no matter how much exercise you do, or however much you cut down on what you eat… there’s always that extra layer of fat you can never shift. Your bones will lose calcium, and become weaker and weaker. The condition is called “osteoporosis”. 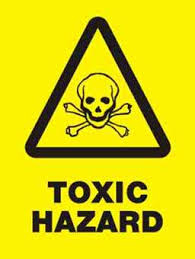 Toxic overload makes your blood too acidic. And so your body compensates, by taking calcium from your bones and dumping it in your blood stream to bring the acid levels down. But this process weakens your bones. And overtime, it becomes severe. 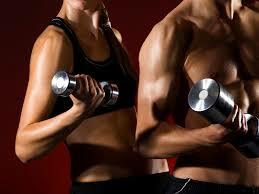 How Lean And Clean Program Transforms Your Body! The “Lean And Clean” Program is all about eating delicious, whole foods that nourish your body with the vital nutrients it needs to kick-start it’s own natural detox process. And it’s this process that restores your health — from the inside out. During this first phase,you will use Intermittent Fasting whilst you follow a diet of food that’s not only 100% clean, but also specially chosen to provide your cells and organs with all the nutrients they need to kick-start your body’s natural detox process. You’ll be eating recipes that have been specially designed and sequenced to allow your body to naturally and safely purge the toxins from your body’s tissues, whilst combining science based intermittent fasting with carbohydrate, water, and sodium manipulation to create an accelerated fat burning environment through specific exercise and hormonal triggers. And you will lose 2-4kgs of stubborn fat in the first 10 days in the process. By the end of the first phase, you will have shed your old and unhealthy self. Now, this phase is about consummating your newfound health, energy and vitality… and then transitioning back into your regular lifestyle, without reintroducing all those toxins back into your body. In Phase 2, you’ll have access to a personalised online nutrition program that allows you to sustain all the great results you’ve achieved over Phase 1, while enjoying many of your favourite meals you ate before you started the program. You know the phrase, “You are what you eat?” Well, it’s true! Your body is a collection of cells. And every cell in your body is made up entirely of the food you’ve eaten throughout your life. And if you consider that most of the foods we’re told to eat are loaded with toxins, additives and all kinds of other junk, it’s no surprise we don’t feel great. Finally, An Easy and Foolproof Detox ProgramThat Doesn’t Leave You Starving… And Empowers You To Purify Your Body of Toxins, And Reclaim Your Health! This is going to be the most important transformation for you in 2014. Literally. The incredible abundance of vitality and energy you walk away with flows down into every area of your life, including your career, your marriage, your family life, your friendships, your passions — everything. That’s why I’m giving you absolutely everything you need… to get started on the Lean And Clean Program as quickly and effortlessly as possible… and to also understand what’s going on behind all the recipes you’re eating, so you can get the maximum results from this cleanse. The Program is only open to 20 people and will commence on Friday February 28th so secure your spot now and change your life for the better. Today I want to cover a subject that affects a large percentage of females, and often indirectly those close to them. PMS These three little letters spell dread and discomfort for millions of women every month. It is reported that more than half and perhaps as many as 85 percent of all women experience discomfort related to menstruation, commonly referred to as Premenstrual Syndrome. In this article I wanted to look specifically at how diet can help women to beat monthly PMS symptoms. Premenstrual Syndrome (PMS) is the name for a group of symptoms that begin 7-14 days before your period (menstruation). The symptoms include a variety of physical and psychological symptoms and usually stop soon after your period starts. While the exact cause of PMS is unknown, it seems to be closely related to the fluctuating levels of hormones, including estrogen and progesterone. Some women may be more sensitive than others to changing hormone levels during the menstrual cycle. 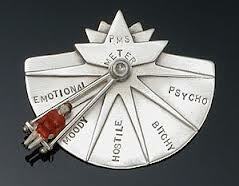 Stress and emotional problems do not seem to cause PMS, but they may make it worse. While 85 percent of menstruating women experience some of these symptoms, only 3 percent to 8 percent experience a severe form of PMS called Premenstrual Dysphoric Disorder (PMDD). PMDD symptoms are severe enough to either disrupt women’s personal relationships or interfere with their normal work and home responsibilities. Eat 4-6 smaller meals throughout the day to reduce bloating and feelings of fullness. Limit your consumption of salty foods and sodium to reduce fluid retention and bloating. Select foods high in complex carbohydrates and fibre, such as whole grains brown rice, fruits, vegetables, beans, legumes and lentils. According to the American College of Obstetricians and Gynaecologists, these foods may improve mood and reduce cravings. Limit your intake of highly refined and processed carbohydrates such as chips, crackers, and snack foods. These foods can trigger overeating and upset your digestive system. Limit the amount of sweets (candy, cake, cookies, breakfast pastries, pie, jams, jellies, and soda) in your diet. These can cause rapid fluctuations in blood sugar that contribute to moodiness and irritability. Choose calcium rich foods. Calcium is a key nutrient for women anyway, but it has also been shown to ease depression, moodiness, water retention and PMS pain. Avoid or limit caffeine consumption to decrease feelings of tension, anxiety, irritability and prevent breast tenderness. Avoid alcohol to help with feelings of depression and moodiness. One study published in the British Journal of Obstetrics and Gynaecology also found that regular alcohol consumption increased length of and severity of cramps in women who experience cramps during PMS. In addition to dietary changes, the following lifestyle habits can also help women who experience PMS. Exercise can help improve your overall health and alleviate symptoms like fatigue and depression. Engage in at least 30 minutes of moderate exercise every day (or most days of the week). Get enough sleep. Try to get at least 7-8 hours of sleep each night. Find healthy ways to cope with stress, like talking to friends, writing in a journal, or practicing yoga. Schedule stressful events for the week after your period. Don’t smoke. PMS symptoms appear to be worse in women who smoke. 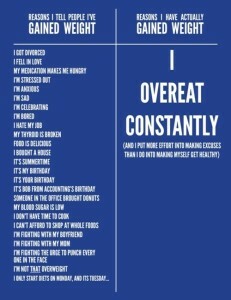 Stick to a routine so that you eat, wake up, go to bed and exercise at the same time each day. Why suffer through PMS every month if you don’t have to? Try to incorporate these habits to improve your overall health and well-being and feel your best all month long. If dietary and lifestyle changes don’t help control your symptoms within two to three cycles, or if PMS seriously affects your health and daily activities, visit your doctor. Men follow a 16/8 hour feeding/fasting protocol (Dinner 7pm- Breakfast 11am). Women follow a 14/10 hour feeding/fasting protocol (Dinner 7pm- Breakfast 9am). Drink tons of filtered water. Fresh squeezed lemon juice is fine too. You should be aiming to consume some lean protein with every meal. You may have heard that eating before bed is a big “no no” if you’re looking to lose weight. In fact, you’ve probably even heard that eating late at night will undoubtedly cause you to GAIN weight…even worse! Well, there’s good news… not every food that you eat past 7PM will be automatically deposited to your belly fat, thighs, and love handles. In fact, there are certain foods that you can eat as a late-night snack that can actually INCREASE your fat loss results through hormonal improvements! The key is knowing which foods to eat, and which to avoid, as the evening progresses. Here’s a good rule of thumb: Avoid carbs before bed in favour of slow-digesting high-quality protein and healthy fats. Fibre is ok too as long as it’s low in starch or sugars. 1. White Meat Protein – White meat animal protein sources such as chicken and turkey are great pre-bed meal choices because they digest slowly and have a very low insulin release. These sources also promote the release of another hormone, glucagon, that assists the body with breaking down stored carbs and fat within your body to be burned for energy…a double win! Having some cooked turkey or chicken handy in tupperware in your fridge makes for a quick late night snack whenever you need it… my favourite way is to warm it up and add to a quick lettuce wrap with a little avocado whenever I need a night time snack. A delicious way to aid your metabolism and fat loss efforts! 2. Cottage Cheese – Cottage cheese is very slow digesting and coats the stomach to be assimilated by the body over many hours. As a protein, it also stimulates glucagon release, which as I just mentioned is great for fat loss, making this a good pre-bedtime choice. Just make sure you’re using plain cottage cheese, not the flavoured varieties with added sugars. Add some cinnamon if you need to add some flavour to it. 3. Green Vegetables – While these aren’t considered a protein, they contain virtually no calories (insignificant), are high in fiber, and they’re very filling. Often times when I get a late night craving I eat a big bowl of green veggies and it completely kills my craving…a diet savior to prevent you from giving in to junk foods late night! 4. Almonds, pecans, walnuts, or pistachios – These nuts are not only great sources of minerals, vitamins, and antioxidants, but provide the fiber and healthy fats necessary to control your cravings late at night and make sure you don’t give in to junk. 5. A Slow-digesting, Low-carb Protein Shake. I use a slow digesting protein shake before bed a lot of times. It’s a great dessert alternative that’s much lower in sugar and better for your body. So there you have it. If you do find yourself up late at night and hungry, you can eat without harming your weight loss efforts. When you go shopping you are often confronted with dozens of olive oils, labelled with terms like “cold-pressed” and “unfiltered” on their labels—and priced from $5 to $50, so today I will endeavour to explain the differences and best use for each. Extra-virgin and virgin olive oil’s healthful properties come from rich levels of monounsaturated fat, which promote “good” cholesterol, as well as abundant polyphenols, powerful antioxidants that may help prevent cardiovascular disease and lower blood pressure. Here’s what to look for when you shop for olive oil. “Extra-virgin” and “virgin” olive oils are processed by crushing olives into a mash, which is pressed to extract the oil (this is called the first press) without the use of heat (called cold pressing). Extra-virgin oils are of higher quality, as the olives used to make them are processed within 24 hours of picking—the longer olives go between picking and processing, the higher their free fatty acid content (extra-virgin olive oil can have up to 0.8 percent, virgin oils 2 percent). Extra-virgin oils also have more polyphenols than virgin oils. Oils can be “filtered”—or not. Unfiltered oils have tiny particles of olive flesh in them, which reduces shelf life, and may appear cloudy if those particles haven’t settled at the bottom of the bottle. “Pure” olive oil or simply olive oil are below extra-virgin and virgin standards and are heavily processed to remove off flavors and aromas. Though the oil still is a source of monounsaturated fat, its been stripped of healthful polyphenols. “Light,” “lite” and “extra-light” are purely marketing terms used on highly refined oils that refer to mild flavour and/or colour, not reduced calorie content. 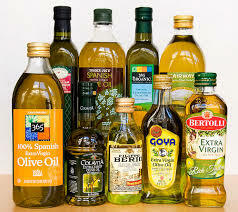 Light exposure causes the oil to become rancid and lose its healthful properties—buy extra-virgin olive oil in dark glass bottles and metal cans and store it in a cool, dark place. Bottling and/or expiration dates provide guidance on how long the oil will keep. If you don’t use extra-virgin olive oil regularly, buy small bottles—polyphenols and flavour can diminish as the oil is exposed to air. The colour of the oil doesn’t indicate its quality—rather the variety and ripeness of olives used to make it. You may have heard that you can’t cook with extra-virgin olive oil because it breaks down when heated, creating harmful substances and destroying its beneficial properties. But all oils break down when they are heated to their smoke point or reheated repeatedly. However, an oil’s smoke point is really a temperature range (olive oil’s is between 185-200°C), not an absolute number because many factors affect the chemical properties of oil. You can safely and healthfully cook with any oil by not heating it until it’s smoking—to get your oil hot enough to cook with, just heat it until it shimmers. Canola oil has a higher smoke point and is a good choice if you’ll be cooking over high heat, as when you’re roasting vegetables or sautéing food over high heat. It also has a neutral flavour and is packed with heart-healthy alpha-linolenic acid (an omega-3 fatty acid), which makes it ideal for baking. A lot of canola oil is made from genetically-modified canola seeds, however, so if that’s a concern, choose organic canola oil. Peanut oil has a very high smoke point, and so is also good for high-heat cooking, like stir-frying. Although more expensive, avocado, macadamia nut, tea and almond oils are also good mono-rich choices for everyday use.